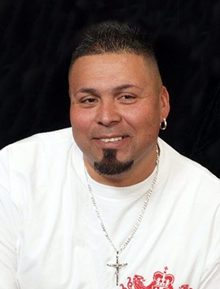 Wilber "Tony" Escobar, age 49, passed away on March 19, 2018. Loving husband to Miguella Escobar. Beloved son of Tia Paula. Devoted father to Sandra, Alexander, Erika, Tatianna Escobar and step children Lisamarie and Lexus Romero. Dear brother of Richard Escobar. Also survived by many nieces, nephews and friends. Family and friends will honor Wilber's life by gathering at the Ruggiero Family Memorial Home 971 Saratoga St. East Boston on Saturday March 24th from 1:00PM to 5:00PM.